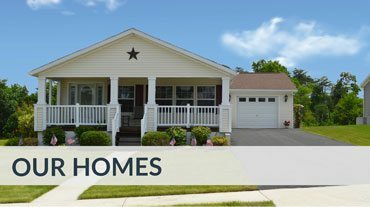 Our manufactured homes are factory-constructed and quality-inspected, so your home will always be safe and sturdy. Finally, an affordable path to home ownership. UMH Sales Centers has a wide range of manufactured and modular homes to fit every budget. At our manufactured and modular home sales centers, you can custom-design your own features, fixtures and floor plan. Our homes are beautiful, spacious and modern, while also being affordable, safe, and easy to maintain. You really can have it all. You’re only moments away from finding the home of your dreams. UMH Sales Centers are premiere, full-service manufactured and modular home dealerships with a wide selection of turnkey homes from manufacturers like Redman, Champion, Clayton, Skyline and Eagle River. From designing the home and helping find financing for qualified buyers, to handling shipment, installation and placement, we work with you to create your dream home from start to finish. All you have to think about is moving in. 1. Find a home you love. Take a look at our homes and floorplans to get a feel for the options we have available from different manufacturers. And don’t worry if you don’t see something that’s just right: you’ll have the chance to customize it all, later. 3. 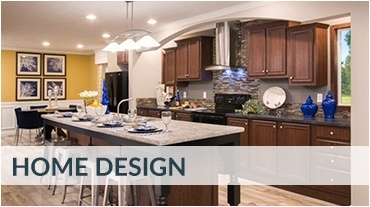 Custom-design your dream home. When you buy a UMH manufactured or modular home, you don’t have to compromise. We can help you custom design features in your home so that you get everything on your dream home checklist. 5. Have a hassle-free buying experience. 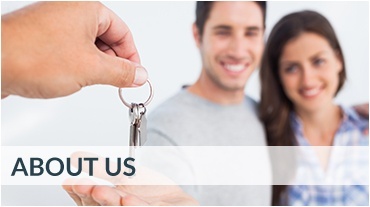 Our UMH Sales Team will help find financing for qualified buyers, whether you’re a first-time or seasoned homebuyer. Then we handle transportation of your home, and coordinate contractors for installation. We’ll even do a quality inspection, so your move-in day is easy and stress free. 2. Visit a Sales Center and see it in person. Find a sales center location near you to tour our available models. You’ll have the chance to speak to a qualified home dealer who can answer all of your questions. 4. Decide where you’ll place it. You have the option to place your home in one of our hundreds of beautifully maintained UMH Communities, or on your own land.We will handle everything from delivery to installation, no matter which you choose! 6. Sit back, relax, and enjoy your beautiful new home! Typically, your home will take us anywhere from 3 to 6 months to be move-in ready, so plan your move accordingly. When your home is ready, we’ll hand over the keys. We made it a move-in ready house, now it’s your turn to make it a home.